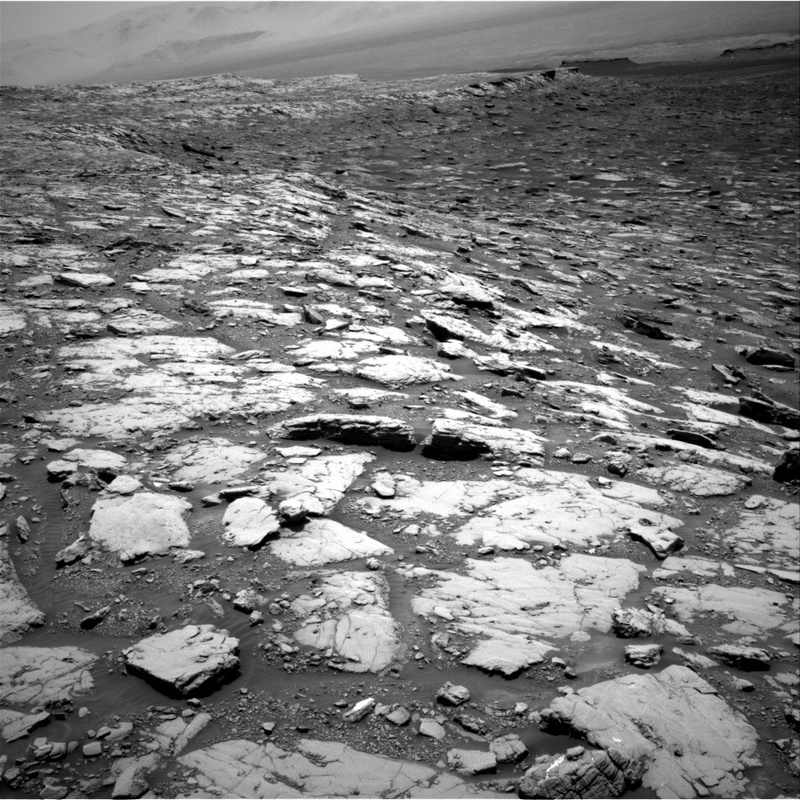 The drive planned on sol 2045 will take Curiosity off of Vera Rubin Ridge and back into the broken-up rocks that comprise the Blunt's Point member of the Murray formation. But don't panic Vera Rubin Ridge fans, we plan to climb back onto the ridge and head to points beyond after we get a chance to test the drill down in Blunt's Point. We are planning to start the sol 2045 plan with a remote sensing science block that has several ChemCam observations and associated Mastcam documentation images. The targets are "Blackhoof," a vein with potential darker inclusions, and "Bovey," a red-hued rock in the work area. Also, since we're currently using names from Prince's home state of Minnesota, why not two purple ones: "Coleraine", a purple-hued rock in the work area and "Soudan," a specular purple rock next to Coleraine.